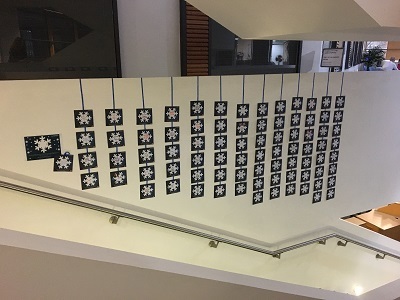 The display, in Building 37, features snowflakes with messages to loved ones by students and staff from the University of Southampton who are affected by cancer. 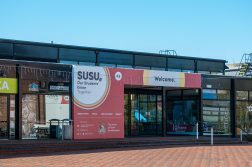 This project was started during November’s Christmas Lights Switch On event on the Highfield Campus and will run for the duration of the Christmas period. 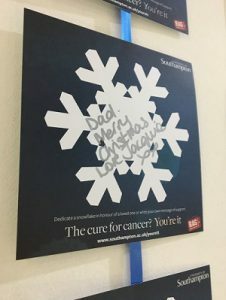 People are also leaving messages of support for the new University Centre for Caner Immunology which is planned to open in 2017. Want to dedicate a snowflake? Visit the front desk at the Office of Development and Alumni Relations (ODAR) (3107/37). 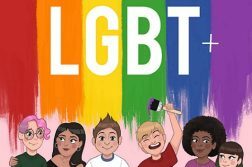 There is a suggested donation of £1 for dedicating a snowflake. 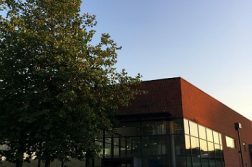 Also, dedications can be made at the Student Office in the South Academic Block (level B) or the Institute of Developmental Science (IDS) at the University Hospital Southampton.